Hemp food wraps, created by an Australian couple from local hemp and beeswax, are a new, sustainable alternative to plastic for covering food. The same business also offers hemp soaps and artisanal hemp paper. Hemp food wraps, created by an Australian couple, are a new, sustainable alternative to plastic for covering food. After launching her hemp business with her husband, Maxine Woodhouse didn’t want to concentrate on products she felt were already being done, like oil and protein power. So she chose something that would stand out – hemp beeswax food wraps. Available in funky retro tie dyed colors, which makes them perfect for a dinner party, you might say they really are the bees’ knees of food wraps. “We decided we wanted to have something different because we want our business to be a bit unique from everyone else, so we went ‘okay what if we dyed them and dipped them and we get our beeswax’,” Maxine Shea, co-founder of Australian-based business Hemp Collective and Fields of Hemp, told us. The locally made wraps, which can be purchased online, are all-natural, anti-bacterial and anti-fungal, water-resistant and sustainable. The beeswax is sourced locally and infused with organic coconut oil and pine tree resin from the Byron Bay community in northern NSW, not far from where Shea and her husband and business co-founder Mike have a hemp farm for industrial use. “People go ‘oh is it farmed from bees that are being harmed’ and we went ‘well no the bee keepers look after their bees,’” Maxine said. 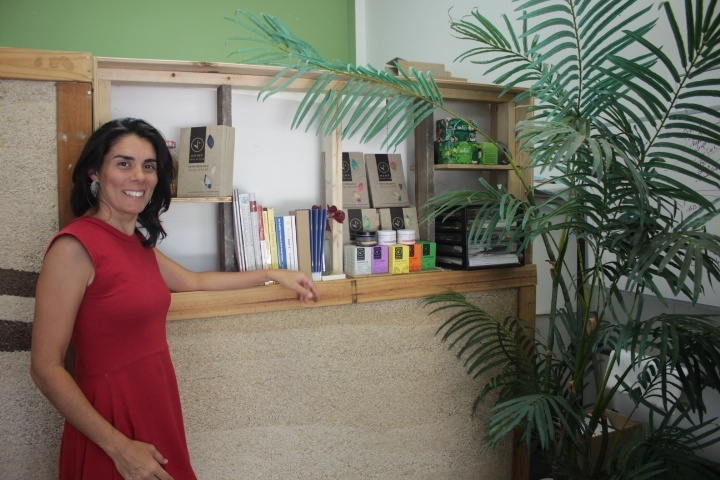 With a background that includes studying and teaching about waste education, the product also fits in with the ethos of the couple and their business. “We came up with the hemp beeswax wrap because we’re trying to eliminate plastic within our business. I come from that zero waste (belief) and also moving forward I think it’s important to do that for society,” Maxine said. 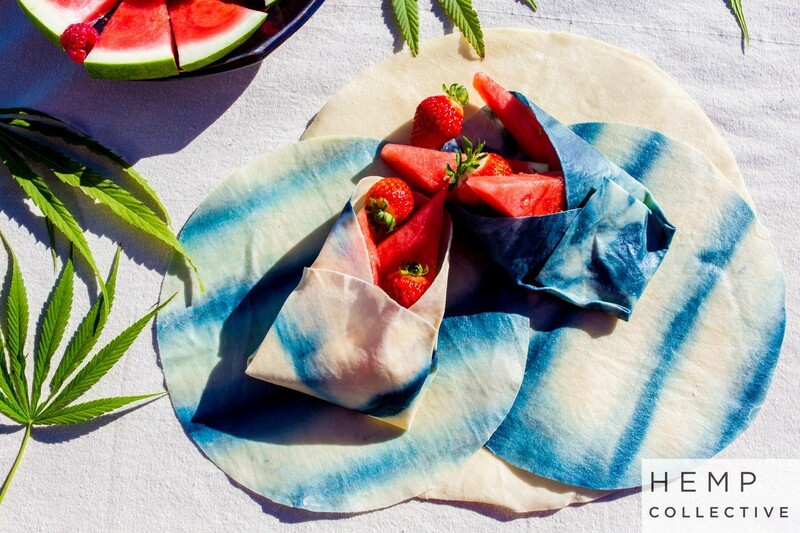 Perfect for storing food and keeping produce fresh – from vegetables and fruits to flowers to kids’ lunches – the list of uses for the wraps is endless, say the Hemp Collective. The biodegradable wraps, which can be moulded into a pouch or cone (no pun intended) are also easy to use, are water-resistant, and are easy to wash. 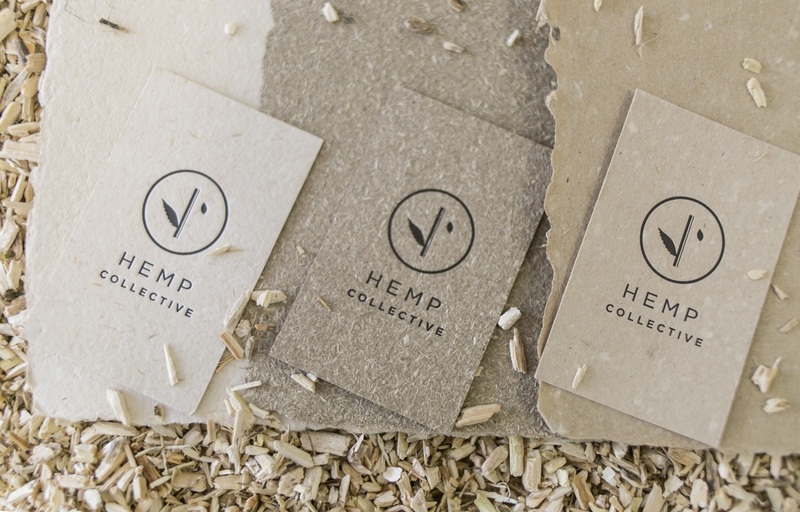 Following their launch, the Hemp Collective unveiled their hemp paper and hemp business cards. “I couldn’t find any hemp business cards. I thought ‘no one’s actually making them in Australia’,” the entrepreneur said. The fact that it’s a premium product again sets it aside from the others that do exist, Maxine said. The Hemp Collective’s soaps come in myrtle, activated charcoal, lavender oil, peppermint and eucalyptus, and oatmeal flavors. 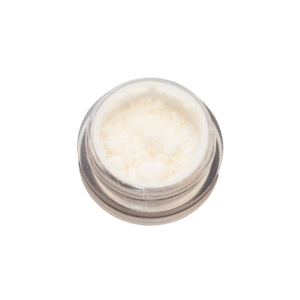 Ingredients include organic cold pressed coconut oil, purified water, Australian hemp seed oil, and organic unrefined shea butter. “There’s probably seven ingredients in there and it’s all either organic or Australian,” Maxine said. 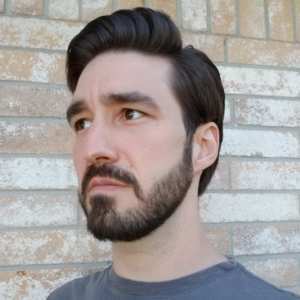 Next up they will launch their hemp shampoo and conditioner bar range. 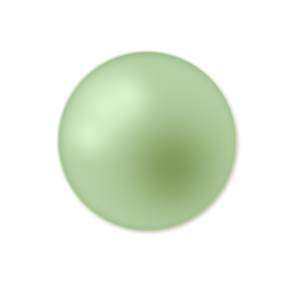 A healing balm is also in the pipeline. 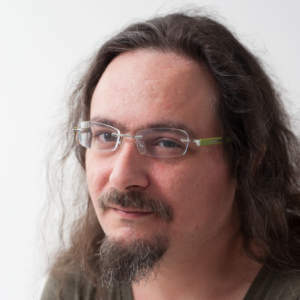 The main concern for their products, Mike said, is that they are producing high quality. “We made sure that we got not just any coconut oil, we made sure that it either came from a sustainable source but also good quality,” he says. The couple’s business is based in the small town of Mullumbimby, not far from the tourist hot spot Byron Bay, with a wall of hemp that the community helped make for their office. “We said we’re going to build this hemp wall. Ten people (said) ‘oh we’ll come and help’,” Maxine said. The couple, who have been together for 17 years, were based in New Zealand, where they had a distribution company, before they moved to Australia in 2017. Maxine had earlier given birth to the couple’s son who was diagnosed with a severe form of eczema. Maxine was later diagnosed with a brain tumor, a type that affects only one to two per cent of people. In New Zealand, they were given some CBD oil. “When we came over here, we did a whole change and we looked at hemp and went yeah, I think there’s something in this,” Mike said. The couple say they have recurring customers and their main customers are probably mostly female, but their ages are different. “The soap gets an older demographic whereas we feel like shampoo bars and conditioner bars are going to be good for that travellers 18 – 35 type age groups where they’re kind of on the move,” Maxine said. Maxine said there’s also some exciting things happening “behind the scenes”. “We really want to start getting some infrastructure happening around the region, farmers growing but growing so they’re actually going to get better yields and outputs and also money because farmers are always struggling,” she said. She said the Australian hemp industry was “stifled due to a range of different things”. “It’s stifled due to thought process the fact that there’s stigma around the products,” Maxine said. Maxine said her vision for the hemp community in Australia was one where people could collaborate but every single person could still have a niche within their business that sets them, their story, and their product apart. “If everyone can work together you’ve actually got a bigger way of talking to government and getting things changed,” she said. Once again, we’re bringing hemp and oats together in our ultimate hemp granola recipe. This recipe is delicious, nutritious, gluten free, and easy to customize with added ingredients. Hemp granola fuses the superfood capacities of hemp seeds with the hyper-efficiency of oats for a delicious, on-the-go snack. Much like our previous Ultimate Hemp Oatmeal recipe, hemp granola brings the same nutritional one-two punch of hemp hearts and oats together. Not only are they good for you, making them proves that you don’t need to spend hours of your valuable time to make an uber-healthy snack. Oats, some of the healthiest grains available, provide health benefits like weight loss, lower blood sugar, and even reduce the risk of heart disease. Delicious, nutritious, and easy to customize, our hemp granola recipe will be your new easy breakfast snack. Extremely balanced and highly nutritious, oats are high in fiber and carbs, and are loaded with many important vitamins and minerals. A meager half-cup of oats contains 51 grams of carbohydrates, 13 grams of protein, 5 grams of fat, 8 grams of fiber, with only about 300 calories. This makes oats a super nutrient-dense food, providing you with a good ratio of nutrition to calories. In addition, oats are rich in antioxidants, can lower cholesterol levels, and lowers blood sugar. To add on to all of that, oats are very satiating. Hemp, of course, is high in plant-based protein, contain good fats, and are also nutrient-dense. One ounce of hemp seeds contains nine grams of protein, twelve grams of fat, and two grams of fiber. It also contains all twenty amino acids and all nine of the essential amino acids which our bodies do not produce naturally. Hemp is also extremely easy to incorporate into your diet through the use of hemp hearts (shelled hemp seeds) and hemp oil. 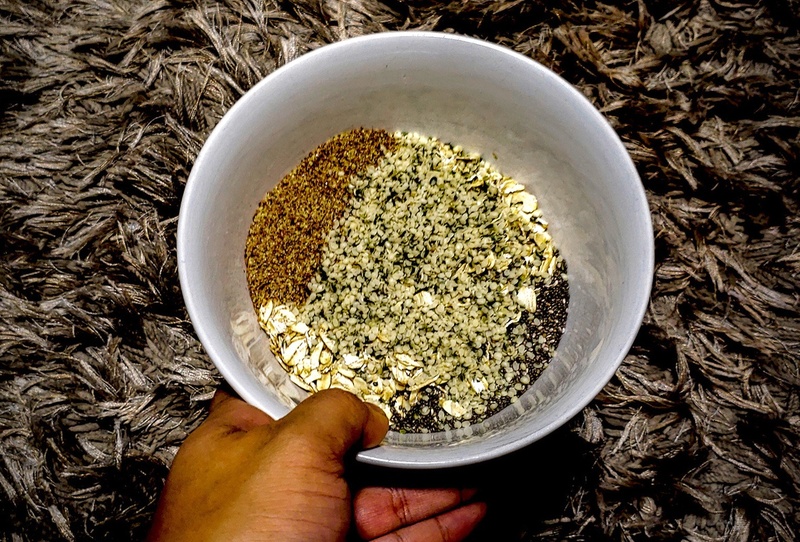 Once made, this recipe helps you save time as hemp granola can be refrigerated and stored. A large batch can last you up to 14 days. 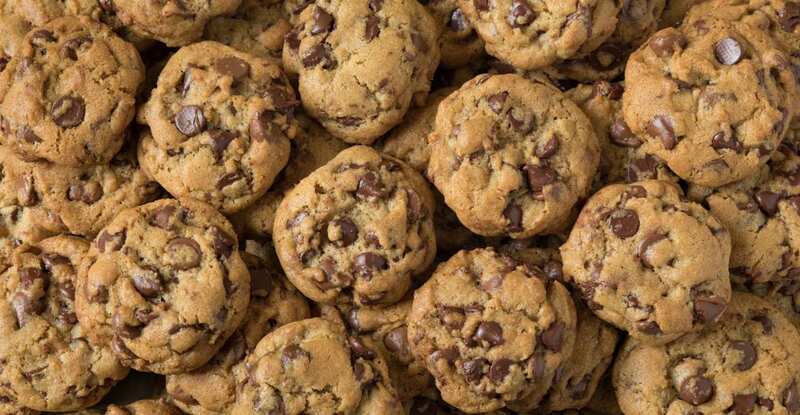 Not only does it save you time, but they provide a much healthier alternative to other snacks such as potato chips, ice-cream or the occasional fast-food run. 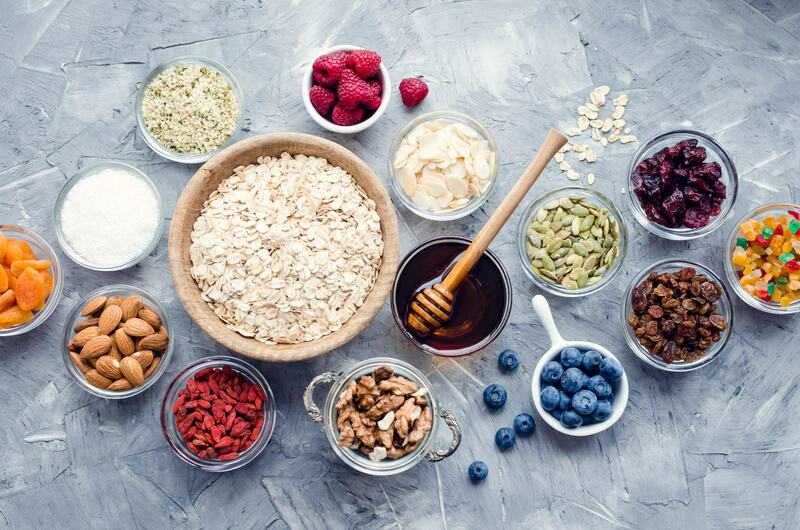 Keep in mind that this hemp granola recipe is highly customizable, and you can mix in different ingredients such as berries, other seeds, peanut butter etc. to meet your nutritional needs! Not only that, you can eat hemp granola by the handful, or with milk or yogurt. Tip: Our hemp granola recipe is gluten free, if you make sure to buy gluten free oats. In a small sauce pot, over medium heat, add the butter and peanut butter. Stir until softened. Turn heat to low. Then add in the honey (or agave). Stir for a minute, until well combined. Add in the rolled oats, stir well to combine. Add in the hemp seeds, salt, vanilla, cinnamon, flax seed, coconut flakes. Turn off the heat. Stir well to combine. The mixture will feel very thick now. Lay a sheet of aluminum down on a one-inch thick baking sheet. Pour the mixture onto one side of the sheet and flatten and spread with a spoon. 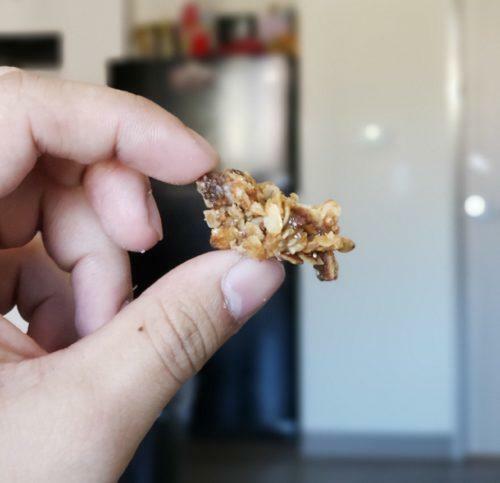 Load granola into the 350-degree oven and bake for 15 minutes. Edges will begin to brown when they are done. Cool hemp granola at least ten minutes before serving. Store leftovers in the fridge. 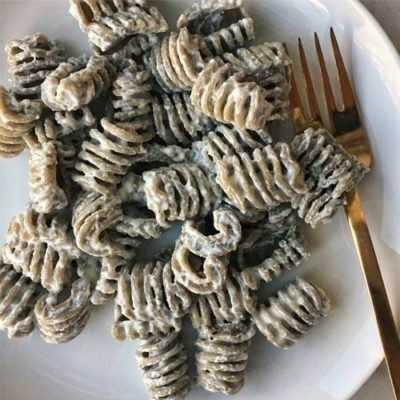 We visited with New York’s Sfoglini Pasta Shop, creators of three unique hemp pasta shapes, and learned the story behind these delicious products. When we discovered unique hemp pasta from an artisan pasta maker in New York, we knew we had to find out more. 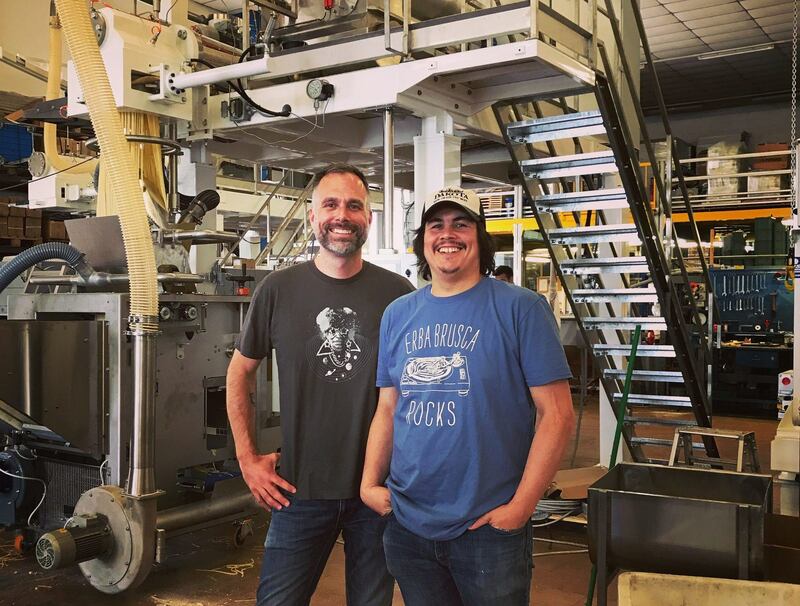 Long-time friends Steve Gonzalez and Scott Ketchum, created Sfoglini Pasta Shop together in 2012. They’re dedicated to the virtues of sustainability, freshness, locality, and above all else, flavor. The quality of ingredients and diverse flavors sets Sfoglini (pronounced “sfo-lee-nee”) apart from typical supermarket fare. Sourced from local farms in New York state, Sfoglini’s pastas tell the story of the freshness and flavor of New York’s produce. 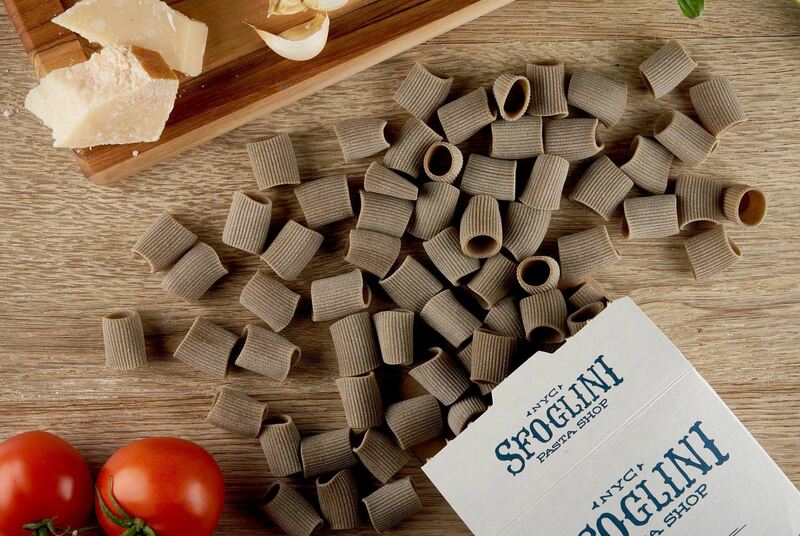 Along with their standard and seasonal pasta selections, Sfoglini recently added three distinct hemp pasta shapes. Fusing the superfood nutritional qualities of hemp with their superior pasta-making skills, Sfoglini makes delicious hemp pasta available to kitchens all over the country. 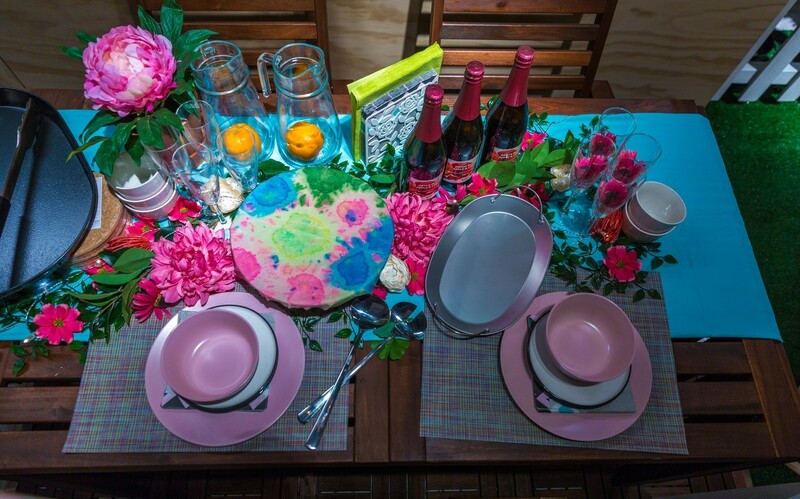 The two founders of Sfoglini, Steve Gonzalez and Scott Ketchum, are both creatives at heart. Gonzalez studied the culinary arts at the Art Institute of Colorado, then spent about 14 years as a professional chef. He worked in various high-profile restaurants. One of the most notable was El Raco de Can Fabes, a 3-star Michelin restaurant in Sant Celoni, Spain. Gonzalez started making and developing pastas over a decade ago, and that experience drove him to open Sfoglini. 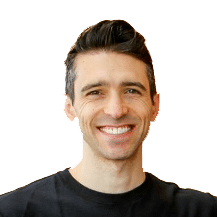 Ketchum on the other hand, was a creative director, graphic designer, and web-designer working for firms in San Francisco & New York. 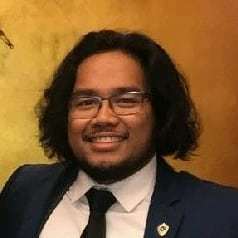 Inspired by the vivid food cultures of both cities, Ketchum pursued a degree in brewing and management at the Siebel Institute in Chicago. To further develop his tastes, he then traveled to Europe where he saw first-hand the diverse food cultures of Italy, France, and Belgium. Recognizing the lack of an artisanal pasta maker in New York, Ketchum jumped on the opportunity to combine his passion for food (particularly pasta) and his skills as an advertising creative to start Sfoglini with his long-time friend. Believing firmly in the philosophy behind locally-sourced ingredients, Sfoglini believes that a good pasta starts at the farm. Sfoglini sources ingredients like corn, rye, flour, and wheat from local farmers in New York State and Massachusetts. Sfoglini’s offers a unique selection of seasonal pastas, including Beet Fusilli, Cuttlefish Ink Spaccatelli, and Saffron Malloreddus. This further reinforces Sfoglini’s philosophy for freshness. They get these ingredients at peak-season and are able to give their customers the best of each product. With pasta this good, Sfoglini is being served in some of New York’s most reputable establishments such as Tom Colicchio’s Riverpark, Chef’s Club by Food & Wine and the Mandarin Oriental Hotel. Sfoglini offers three hemp-based pastas: Hemp Radiators, Hemp Rigatoni, and Hemp Zucca. With three distinct shapes, each pasta offers three different advantages. The radiators and rigatoni work well with pasta dishes that have thicker sauces or cheeses, since their shapes soak up and trap sauces. By contrast, Ketchum told us the zucca pasta works particularly well with dishes that have chopped ingredients, as they tend to get trapped in the clam-shell opening of the hemp pasta. Obviously, all three pastas have the nutrient-dense qualities of hemp, but hemp also adds a particular nuttiness that further enhances their flavor. Recommended by a friend, Gonzalez and Ketchum visited JD Farms, the first USDA approved hemp farm in New York State. After touring the farm and tasting their organically-grown hemp, they both knew they had to incorporate it into their pastas. The hemp pastas are growing in popularity, and the rigatoni is one of their top-five best-selling pastas. We asked Sfoglini to provde us with a simple recipe that highlights the unique flavor of their hemp pasta. Heat 3 quarts of salted water in a large pot and bring to a boil. Add hemp radiators and cook for 5-8 minutes. Mix ricotta and olive oil in a large bowl. If desired, add 1-2 tablespoons of the pasta water for a smoother consistency. Once pasta is cooked, drain and combine with the ricotta and olive oil mixture. Divide among two serving bowls, add salt and fresh cracked pepper to taste. The story of Sfoglini further reiterates the wonders and advantages of the hemp plant. An endlessly versatile plant, Sfoglini is now proving to the world that hemp can be delicious! Order their pastas online and make sure to check out Sfoglini on Instagram as well! The Canna Kitchen is a vegetarian restaurant in Brighton, England. 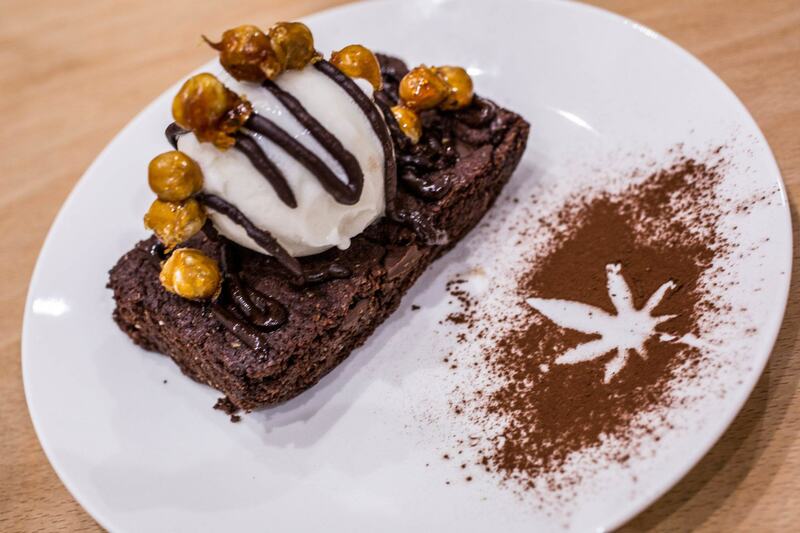 It’s also the UK’s first restaurant to infuse their dishes with CBD and other cannabinoids. 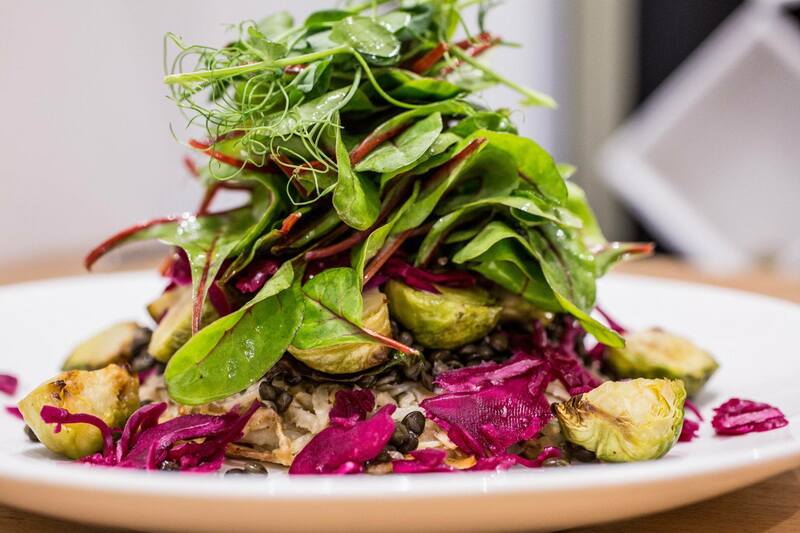 The Canna Kitchen is a vegan and vegetarian restaurant that opened at the end of 2018 in Brighton, England. It’s also the UK’s first restaurant to infuse their dishes with CBD and other similar cannabinoids. Interest in all things hemp and CBD-related is booming in the UK. As a result, this restaurant immediately became a sensation, with acres of coverage in the British press. Brighton has long been regarded as one of the UK’s most bohemian and forward-thinking cities. It makes perfect sense for this location to be the origin of what promises to be a groundbreaking development in the world of food and CBD. We spoke to the founder of The Canna Kitchen, Sam Evolution, about the evolution and execution of his one-of-a-kind CBD restaurant. Like many people involved in this relatively new industry, Evolution has a strong appreciation for just how revolutionary CBD and hemp can be for the world at large. But when it came to combining CBD with a sit-down restaurant concept, the idea came from some good old-fashioned home testing. 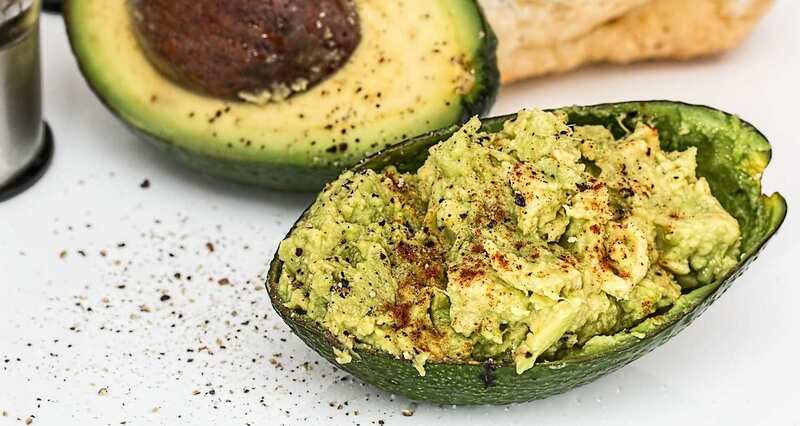 “The initial idea came about a year ago when doing some personal experimentation with friends, involving food and flavonoids from the plant,” Evolution said. Then the idea came to combine cannabinoids with high quality organic foods, which led to the complex and exciting menu The Canna Kitchen offers today. These dishes includes a classic vegan buddha bowl, featuring seasonal roast root vegetables, homemade hummus and fresh salad, with a CBD-infused tahini cream drizzled across the top. 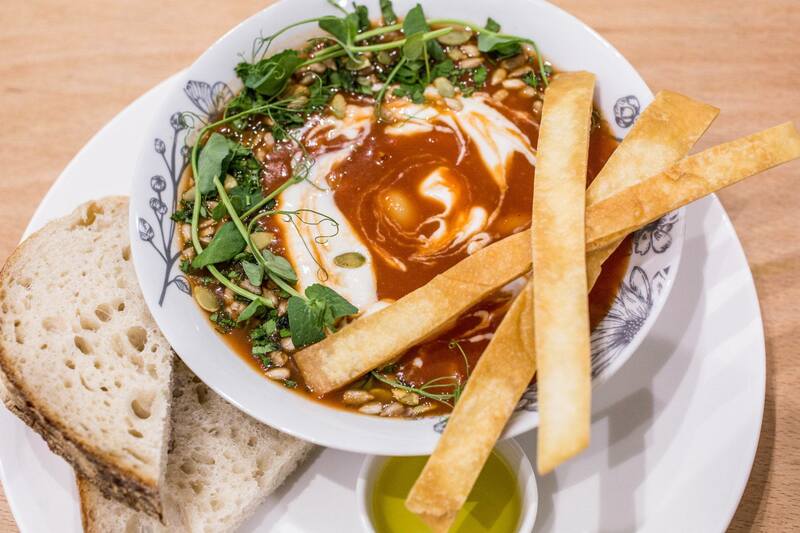 Or the canna sandwich, which offers a choice of harissa tofu or haloumi, on locally-sourced sourdough bread, paired with a salad and CBD dressing. For dessert, you can finish off your meal with the canna Snickers bar, loosely based on the well-known chocolate bar, put together using homemade cake, layered with date caramel on top of a hemp brownie biscuit base, then coated with dark chocolate and nut sprinkles. From a personal perspective, Evolution has had impressive results using CBD. This meant taking a cautious approach when it came to the legal sides of setting up a CBD-based restaurant. “I had to present my plans concisely to local authorities, and my approach was very carefully considered,” Evolution said. The hemp used in preparing the dishes used at The Canna Kitchen is also carefully sourced. 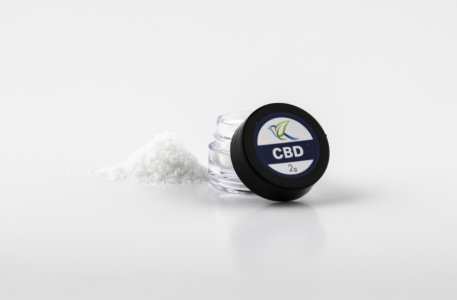 CBD business-owners must have a delicate touch in the UK when it comes to working with this product, as the authorities remain wary of its legal status. “Our hemp is grown for us organically in Spain and Switzerland,” said Evolution. 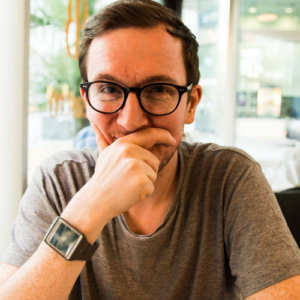 “And we ensure any trace elements of THC are within legal limits,” showing just how careful the UK hemp-user must be when working with this plant. The process wasn’t easy, at least not at first. For the average person, this is enough to gain a beneficial effect, whether the goal is simply relaxation, or for something more substantial such as pain reduction. When it comes to future plans, Evolution is cautiously optimistic, taking care not to move too quickly, despite the success so far. It’s clear that The Canna Kitchen won’t be the last CBD restaurant to open in the UK. We’re already aware of numerous cafes popping up offering similar products. The UK is finally waking up to the eco-friendly nature of hemp and the helpful effects of cannabinoids, and the public demand is set to grow and grow. Combining the health benefits of hemp and oats with the healing benefits of CBD, our ultimate hemp oatmeal recipe will help you start your day off right. Best of all, it takes just minutes to make. Hemp oatmeal could supercharge your mornings and help you bet a healthier start to 2019. With fresh New Year’s resolutions, many of us have pledged to start healthier habits. So, if you’re doing your due diligence to finally start eating healthier, you’ve come to the perfect place. Hemp oatmeal can supercharge your mornings and help you eat healthier in 2019. Today we’re giving you a simple recipe that fuses the nutritional goodness of oats with the superfood capacities of hemp and the benefits of CBD. We’ll also explain some of the health benefits from eating oats and hemp. Oats are some of the healthiest grains available. They provide health benefits like weight loss, lower blood sugar, and even reduce the risk of heart disease. Having a balanced nutrient composition, oats are high in fiber and carbs, and are loaded with many important vitamins and minerals. Only half a cup of oats contains 51 grams of carbohydrates, 13 grams of protein, 5 grams of fat, 8 grams of fiber, with only 303 calories! This makes oats a super nutrient-dense food, providing you with a good ratio of nutrition to calories. In addition, oats are rich in antioxidants, can lower cholesterol levels, and lowers blood sugar. To add on to all of that, oats are very satiating and don’t require a lot to make you feel full. Hemp, of course, is high in plant-based protein, contain good fats, and are also nutrient-dense. One ounce of hemp seeds contains nine grams of protein, twelve grams of fat, and two grams of fiber. It also contains all twenty amino acids and all nine of the essential amino acids which our bodies do not produce naturally. Hemp is also extremely easy to incorporate into your diet through the use of hemp hearts (shelled hemp seeds) and hemp oil. I commonly sprinkle hemp hearts into my food and smoothies; you can even mix chia and flax seeds with hemp hearts to create a trifecta of plant-based nutrition. CBD offers a wide-range of health benefits as well, most notably it’s anti-inflammatory properties and the calming effect it can have on your body. Coming in as an oil or tincture, it’s easily incorporated into liquids in your dishes or even in your water. We’ve put together a quick guide to eating hemp for breakfast, so you can start your most important meal of the day with this nutritional powerhouse. Hemp hearts and CBD oil are interesting ingredients, in that they are really easy to incorporate to your everyday foods. We’ve put together a quick guide to eating hemp for breakfast, so you can start your most important meal of the day with this nutritional powerhouse. Hemp hearts and CBD oil are interesting ingredients, in that they are really easy to incorporate to your everyday foods. With hemp hearts, you’ll see it’s a simple additive to the dishes. It’s as easy as putting them into a batter, or even just sprinkling them on top of the dish. With the CBD oil, it’s slightly more difficult to incorporate into your dishes but we’ll give you some simple tips. Hemp is great addition to so many dishes. It will provide you with all of the essential amino acids and is a major source for plant-based protein. The best part is that hemp is extremely easy to incorporate into your diet. 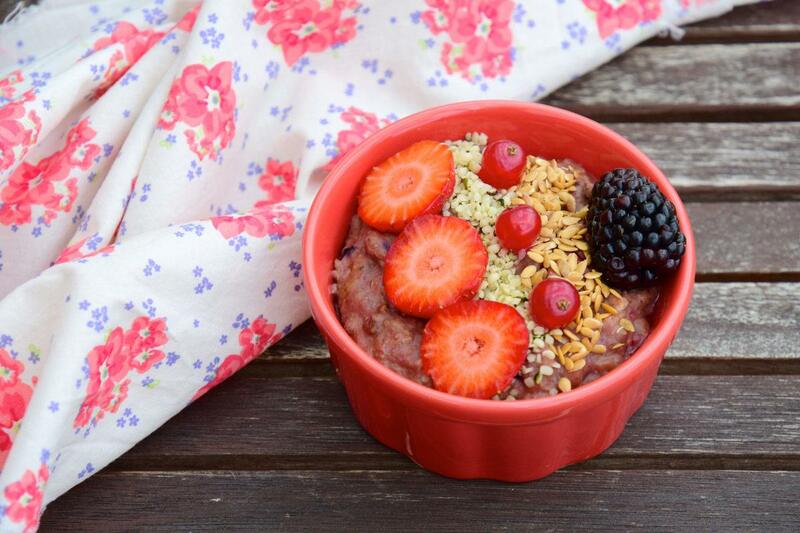 You can simply sprinkle hemp hearts (hulled hemp seeds) on top of your meals like salads or rice bowls or throw it into your blender to infuse your protein-shakes with hemp power. We recently looked at how hemp is great for keto diets and explained how to make your own hemp milk. However, hemp is an easy addition to almost any diet. Creating a delicious hemp breakfast might be as simple as adding hemp hearts or infusing CBD oil into the butter you use to make eggs. CBD can also be incorporated into your mornings. Not to be confused with THC, the main cannabinoid compound in psychoactive cannabis, these ingredients are completely legal and will not get you high. CBD can ease symptoms of pain and anxiety and generally create a more balanced day. CBD can be found as oils, extracts, tinctures and even edibles. There are even CBD breakfast bars! You can even mix it into your morning coffee, if these recipes don’t appeal. Since CBD is a liquid, you have to incorporate it into other liquids used. Cannabinoids also bind with fats in cooking. The easiest way to cook with CBD is to infuse the supplement into things like butter, maple syrup, and even into your cooking oil. This process is generally easy, and you can even make it ahead of time. We used Meta Hemp CBD oil for these test recipes (see our Meta Hemp review here!) but you can use any quality CBD oil you prefer. Below are three of our favorite recipes incorporating hemp & CBD! With this recipe, you’ll want to first make your batter to have it done so you can prepare everything else. Depending on your pancake batter, you might need to add eggs and milk, but sometimes all you’ll need is water. When stirring, make sure to stir until the batter is smooth and all of the lumps are gone. If you’re adding milk, do it slowly as you stir. This will make your pancakes extra fluffy. To make the CBD infused maple syrup, pour the syrup into a small saucepan and heat on low. After it’s brought up to temperature, add your desired amount of CBD/Hemp oil. Continue heating on low for about 5 minutes and set aside. To make pancakes, it helps to make a pancake assembly station, with batter to the left, the pan in front of you, and your serving plate to the right. Spray non-stick spray and then pour batter until you get the desired size of pancake. Every minute or so, continuously check the bottom until it’s golden brown. Once it’s cooked, flip the pancake to cook the other side. Again, continuously check so you don’t overcook the pancake. After that, you’re done in creating your delicious pancake with CBD-infused maple syrup! You can eat it as is, or add things like hemp hearts, berries, nuts, and whipped cream to supercharge the dish. 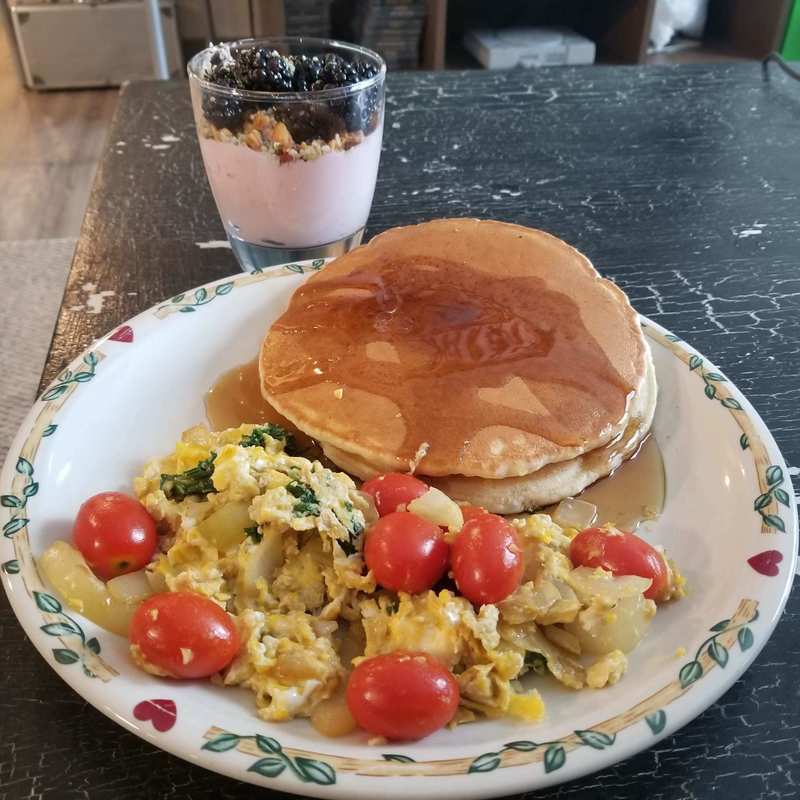 This is an awesome recipe if you’re short on time, and you want to make a quick & easy breakfast scramble to start your day off right! We start by preparing vegetables. Quickly chop onions, ready spinach and grape tomatoes. Set these aside. Heating up your pan with butter over a medium heat. Add CBD/Hemp Oil with the butter. While we wait for the pan to get up to temperature, we’ll prepare our eggs. Whip four eggs in a small bowl until they are uniform and have a little bit of foam around the edges. Mix in the milk while you whip your eggs. This allows for a fluffier and creamier omelet. Once the eggs are whipped and vegetables ready, make sure to have your spices nearby. With the pan up to temperature, we’ll add in our vegetables first. Cook for approximately 2-3 minutes. After the vegetables have cooked for a little bit, add the eggs and start to scramble them. 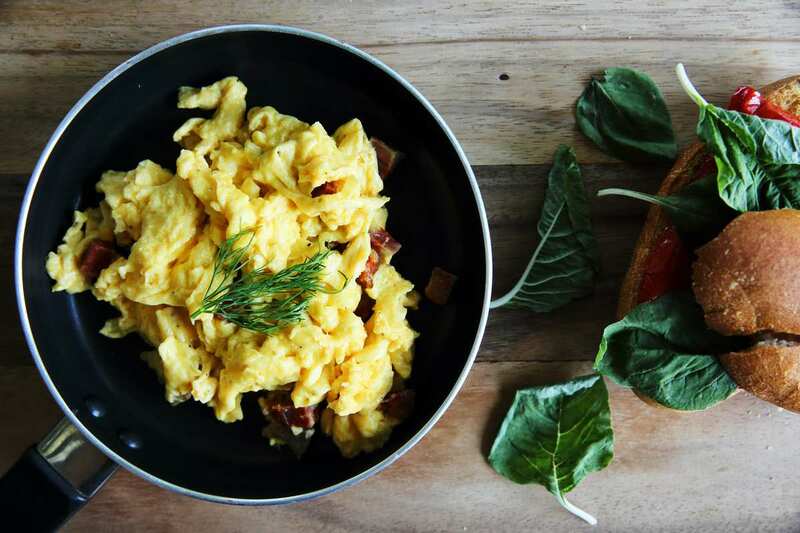 Making scrambled eggs is fairly easy, but make sure to not overcook the eggs! The cooking process should only take about a minute or so and be sure to keep the ingredients constantly moving with your spatula. This is the easiest of all the recipes, simply gather all the ingredients and stack them in a bowl! You can add to this recipe by adding in flax seeds and chia seeds with the hemp hearts to create a trifecta of awesome plant based nutrition! 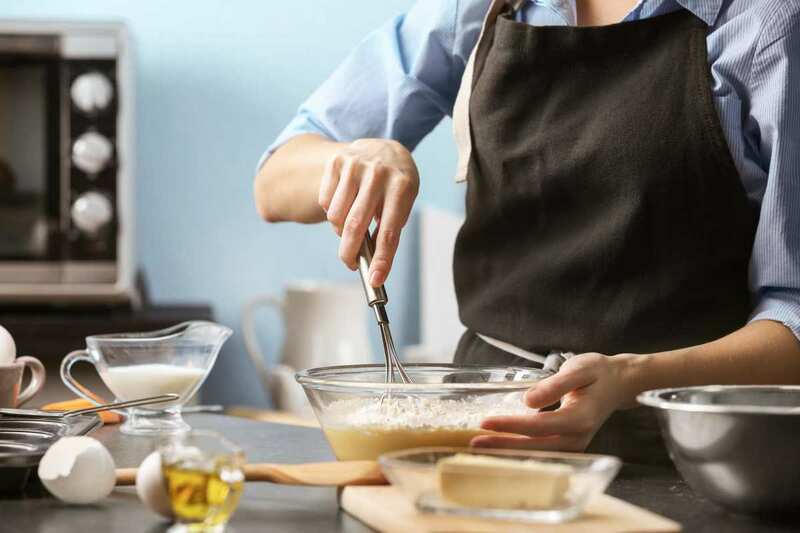 CBD cooking is easier than you might think, whether you’re craving sweet treats or savory snacks. Cooking with CBD oil not only helps to cover up the flavor of the compound, but also makes the overall process more fun. 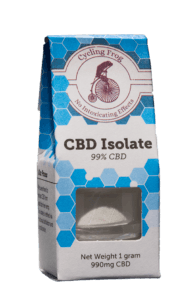 From high quality vape juice to a special batch of grandma’s famous brownies, the possibilities of CBD isolate are almost unlimited. In this article, we explain how you can use this unique supplement and pick our favorite brands. CBD honey, sweet, rich in flavor and packed with natural healing benefits, is the ultimate upgrade to your night time tea. Our review team loved Colorado Hemp Honey by the spoonful, but it can also be added to recipes. CBD honey, sweet, rich in flavor and packed with natural healing benefits, is the ultimate upgrade to your night time tea. A warm cup of herbal tea before bed is one of the most soothing ways to end your day, and we recently discovered that a spoonful of CBD honey from Colorado Hemp Honey makes this into a powerful sleep aid. Made from high quality ingredients and third-party lab tested for purity, this product is a great way to add the benefits of CBD and honey to your diet. Colorado Hemp Honey is available in four delicious flavors and can be used almost any way you use honey. A trio of jars of Colorado Hemp Honey. Ginger Soothe which was reviewed for this article. CBD honey from Colorado Hemp Honey is available in both unflavored and flavored varieties. 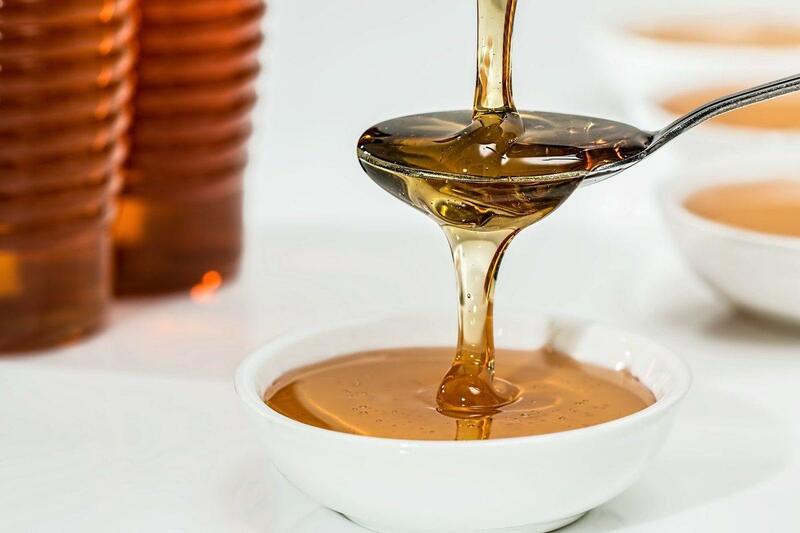 We discovered this delicious CBD honey at the 2018 Hemp and Garden Show in Austin, Texas, and it quickly became a favorite ingredient in our kitchen. Read on to find out more about the origins of Colorado Hemp Honey and see our complete review of this unique product. 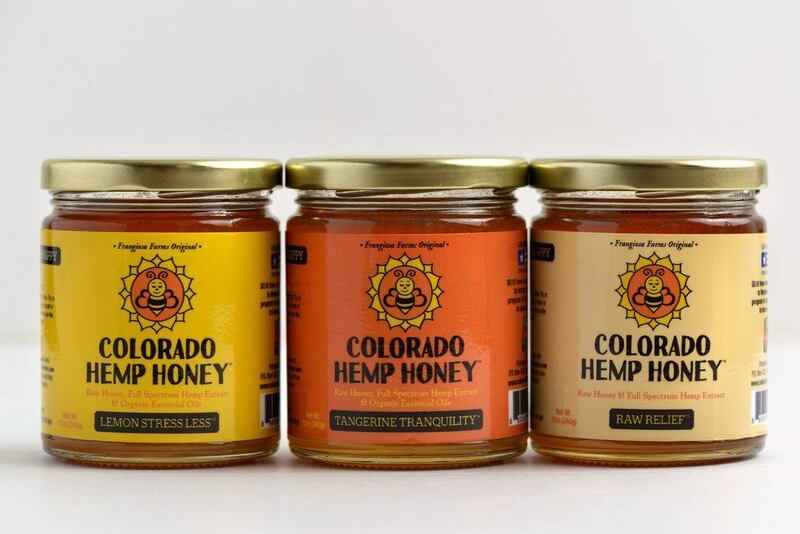 Colorado Hemp Honey is produced by Frangiosa Farms, which has nearly 100 hives in the Denver, Colorado area. Their products are made from raw, largely unprocessed honey so it can be enjoyed in its purest form. Whole plant hemp extract, produced from Colorado grown, Non-GMO and pesticide free industrial hemp, is the final ingredient in this delicious CBD honey. Whole plant, or full spectrum, extract means all the terpenes and other beneficial trace ingredients in the hemp remain. 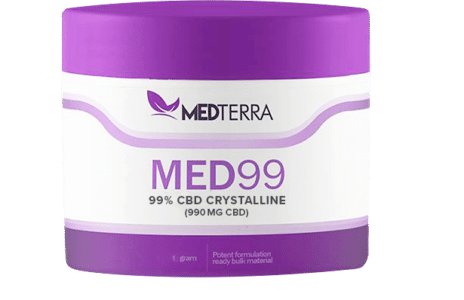 Every product is clearly labeled with the total amount of CBD oil inside. While third-party lab testing results were available for all of Colorado Hemp Honey’s products at the Hemp and Garden Show, they aren’t on the website. We hope the company will provide them online soon. In the meantime, we recommend consumers contact the company to see the lab results. 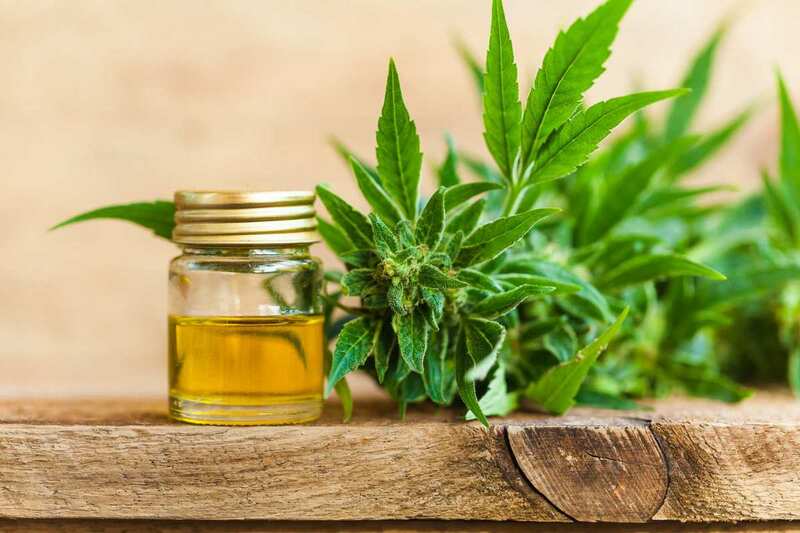 Scientific evidence and consumer reports alike suggest that CBD oil can relieve the symptoms of a wide variety of conditions, from chronic pain to epilepsy. While the medicinal benefits of honey are harder to prove, its nutritional content is well documented. “Besides having minerals, vitamins and important enzymes, honey is a natural, healthy energy booster,” notes an article from the Michigan State University Extension. While it’s probably true that honey is slower to absorb into the system than refined sugar, diabetics should still avoid consuming too much. Rich golden honey is poured from over a spoon so that it drips into a shallow bowl. CBD honey combines the delicious sweetness of honey with the benefits of full spectrum hemp extract. Our review team tried the Ginger Soothe flavor of Colorado Hemp Honey. The flavor of ginger is warm and strong but not overpowering. This CBD honey is great by the spoonful, but we frequently added it to our herbal teas before bed. Colorado Hemp Honey also offers tangerine, lemon and an unflavored variety. Consumers should try just a teaspoon at first, because Colorado Hemp Honey is effective and potent. This CBD honey was especially helpful at promoting a restful sleep in a warm drink. Like other forms of CBD oil, it eased symptoms of chronic pain and inflammation. Though we didn’t try cooking with it, Colorado Hemp Honey can be used in almost any recipe, from the sweetener in pancakes to the glaze on chicken wings. We were advised that CBD honey should not be blended, which is unfortunate as otherwise we’d love to use it in our post-workout smoothies, along with our favorite hemp protein powder. We wholeheartedly recommend Colorado Hemp Honey’s “Ginger Soothe,” and we bet the other flavors are just as delicious.